We do Complete Computerized Diagnostics ! ! "Depend On Us For All Your Automotive Service Needs"
We offer all your car needs for every make and model, Foreign & Domestic! 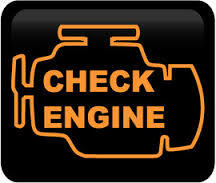 Our MISSION is to find the problem, fix it and have you back on the road! We PROMISE to provide you with the the finest customer service in a comfortable environment. Most importantly, we are dedicated to YOU our customer!